A copyright protects the creator of a literary or artistic work from theft of the material by someone else. Copyright infringement is the unauthorized use of copyrighted material, or its distribution to the public without the creator’s permission. There are a wide variety of penalties associated with copyright infringement, which is a violation of federal law. In order to pursue a claim of copyright infringement, the creator of the work must have a legal copyright. No action is necessary: the creator of a work legally holds its copyright, whether or not the work is registered with the U.S. Copyright Office. However, to bring a claim of copyright infringement to a civil court, and to collect any damages, the author must have the work registered. Copyright law is covered under Title XVII of the United States Code. A claimant who wins a copyright infringement case may ask the court for a judgment that includes the monetary damages, up to $150,000 for each work that has been infringed by the defendant. If the case is settled before a final judgment, then the maximum statutory penalty is $30,000. A claimant may also be awarded actual monetary losses suffered, which is done by proving the infringer’s gross revenues, and the percentage loss suffered by the creator that is attributable to the infringement. In addition, the defendant may have to pay the claimant’s court costs and attorney’s fees. The court may issue an injunction banning the infringing party from any further display or reproduction of the works, and order impoundment of the works, meaning the legal seizure of books, CDs, DVDs and other media, as well as financial records and any media or equipment used to reproduce the infringed work. Federal law also has provisions for criminal sanctions for copyright infringement, for example for the unauthorized reproduction of DVDs. According to the Federal Bureau of Investigation, federal law provides for jail terms of up to five years and fines of up to $250,000 for unauthorized reproduction of copyrighted works. United States copyright laws give the creators of original works exclusive rights to copy, distribute and sell their work. Anyone else who does so without the permission of the copyright owner potentially breaches that copyright. 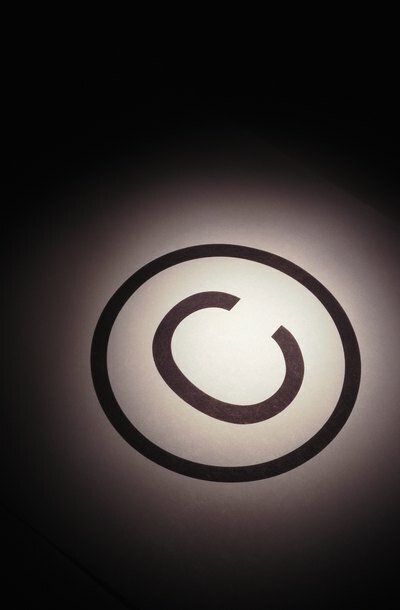 If someone breaks a copyright law, the copyright owner can file a lawsuit in a federal court. Title 17 of the United States Code contains the provisions of the Copyright Act relating to copyright infringement. Copyright laws are in place to protect the creators of proprietary written works, images, music and a range of other assets. Copyright laws in the United States provide enforcement provisions to ensure compliance with copyright regulations, and the consequences of violating these laws can be costly. Understanding the potential consequences of breaking copyright laws should deter would-be counterfeiters and intellectual-property thieves from taking advantage of other entrepreneurs' creations.